Anyone who knows me will probably accept that I don’t aim terribly high on the fashion stakes, whether it be my clothes or my bikes. 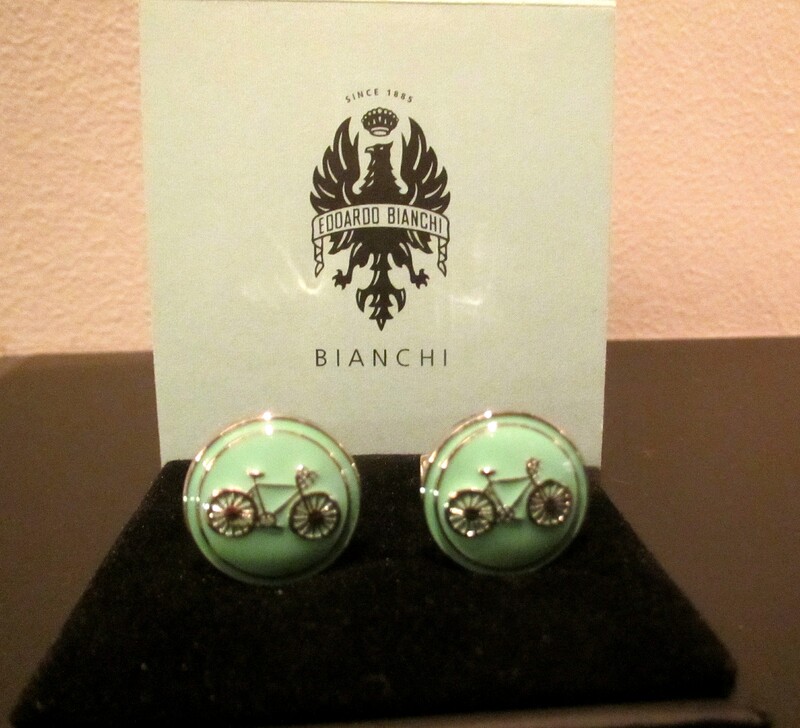 However I am now the delighted owner of a set of Bianchi’s limited edition cufflinks, celebrating the bicycle and the classic blue that is supposed to represent the Italian sky. 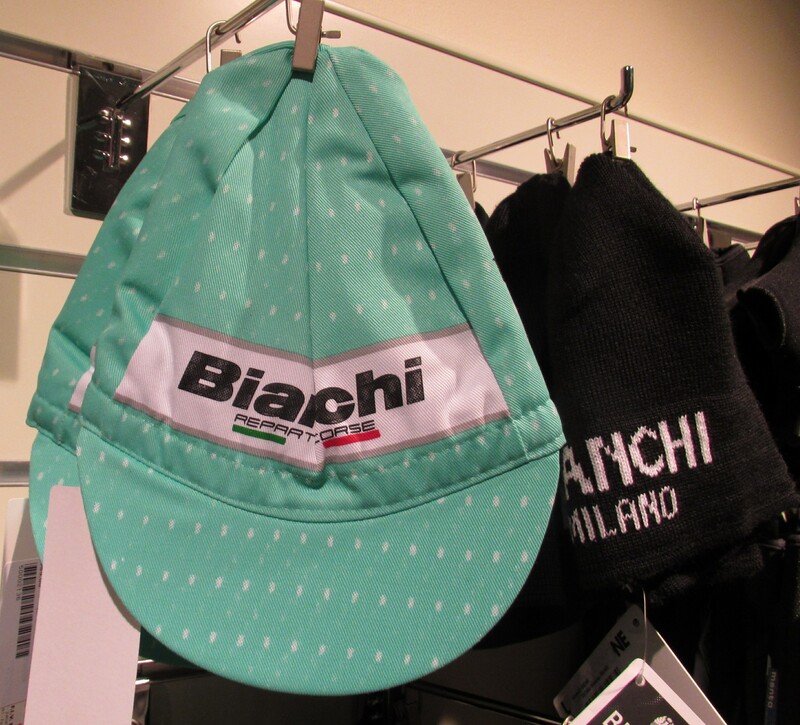 I fell for these on my first trip to the Bianchi café in Stockholm, they are quite unique and just the gift for a cycling nut. There have been iconic bikes and stunning equipment throughout the years but I cannot real think of a bike brand that is so closely associated with a single colour. 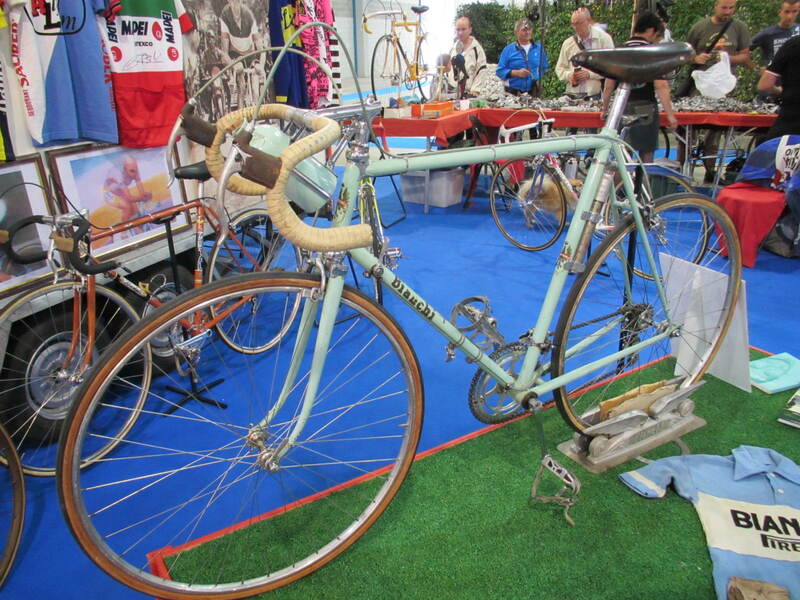 As soon as I looked at Fausto Coppi’s 1954 world championship winning bike at the Padua bike show it could be no other brand. Those of us who were followers of the Tour de France on Eurosport when David Duffield was the commentator could hear the ecstasy in his voice each time he got the chance to talk Bianchi. Ok, so I can hardly remember the last time I wore cufflinks, but I think these beauties just might force me to smarten up my act a bit. This entry was posted in Musings and tagged Bianchi, bicycle, Coppi, cufflinks, cycling, fashion, Stockholm by kevinmayne. Bookmark the permalink.